Lagos State Postgraduate Scholarship Award 2018/2019 – The Lagos State Scholarship Board Postgraduate Scholarship Award Scheme Application Form Portal, Requirements, Eligibility, Method of Application and Deadline for 2018/2019 Academic Session. This is to inform all students and Lagos State indigene in tertiary institutions across the country and intending to be a beneficiary of the postgraduate scholarship award that the sale of forms commenced on Monday 18th March, 2019. 6. All applicants must have a signed letter of identification from their respective local government7. All applicants must purchase a Scholarship application form. 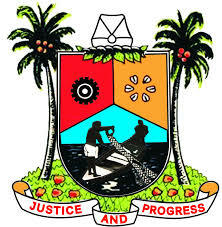 (Payment of N2,000.00 for Local Scholarship)through the Revenue Office of the Lagos State Scholarship Board. The Closing Date/Application Deadline of the Lagos State Postgraduate Scholarship Award Scheme will be announced soon.